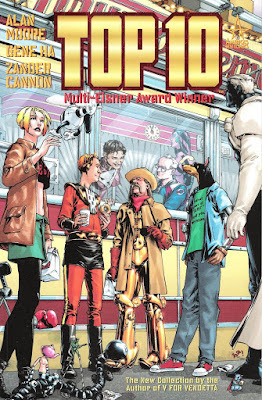 I recently pulled out my trades for "Top 10" and reread them. This was one of the series that was recommended to me by the owner of our FLCS years ago. For those of you not familiar with the series, it's basically "Hill Street Blues" with superpowers. Our POV character is rookie Robyn Singer, aka Toybox, who is starting at Precinct 10. The series takes us through several cases in the city of Neopolis, which is where all of the "Science Heroes" live. This is right up my alley, as I love police procedurals, but I'm especially fond of the type that gives you all layers of the force. Here we have patrolmen, detectives, a sergeant that's an intelligent dog in an exoskeleton, everything I could want. So, of course I like it. If this sounds at all intriguing to you, I'd recommend picking up at least the first twelve issues (see the link above). 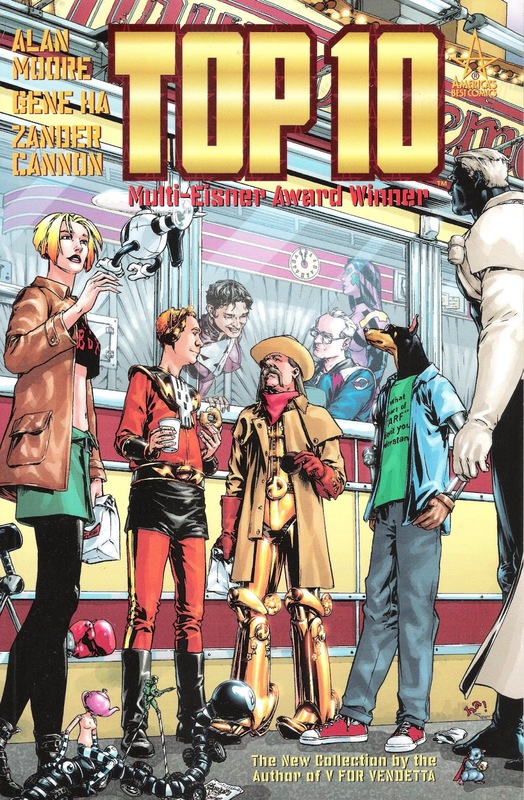 There are offshoots of those, and I like what I've read, but the original issues give you a really nice story that has a beginning, middle, and end while still leaving it open for more stories to be told. Kind of unusual in comics, which might be another reason that the series appeals to me.